I think he completely missed the R-One. He used lights from a R18 and real car used 908 lights from Oreca's 908..
[You must be registered and logged in to see this link.] wrote: I think he completely missed the R-One. He used lights from a R18 and real car used 908 lights from Oreca's 908..
if someone has the skills to remodel stuff and do cars like these why the hell he dont finish it? why dont spend some two more days to make it complete? I think these are his first releases at all. Some constructive critics can help him to improve. In the end, we have to say this guy has skills, and a good potential!! 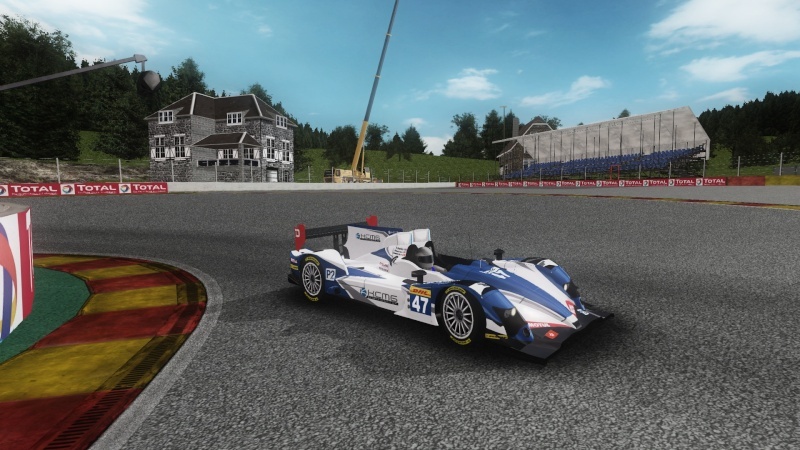 I'm looking for a template of (Oreca03 especially) LMP2 vehicle. Thank you so much, i love you so much. New vehicle! I was waiting for! How did you make the skins of these? If there is a template data such as psd, and I want all means. Template is not found me ... but I tried to search. I wonder Is there a way to make the skin data without using the template? Please tell me you have a good solution if. Runtime Error's usually mean you do not have enough addressable memory to run the game. Suggest you download CFF Explorer - NTCore which will allow you to change the amount of addressable memory the game can use to greater than 2Gb. Click on the GTR2.exe file. This will open a new drop down menu. Right click on "NT Headers". Right click on "File Header" in the drop down box. Right click on the blue "Click Here" box adjacent to "Characteristics". A new box will appear - click on "App can handle >2gb addressest" so a tick appears in the box. [You must be registered and logged in to see this link.] wrote: Runtime Error's usually mean you do not have enough addressable memory to run the game. Suggest you download CFF Explorer - NTCore which will allow you to change the amount of addressable memory the game can use to greater than 2Gb. Same error... Possible that don't enough 4GB RAM? But thanks anyway! Right click and choose properties.....then select the compatibility tab and in the compatibility mode click "Run this program in compatibility mode" select "Windows XP Service Pack 2"
After that then right click on the icon again and "Run as Administrator"
So far results are good.....No Errors at all. PATR10T: I found an Endurancers conversion by Merlin, with the OLD GT1 cars (like C6.r, Lambo, Saleen, DBR9) and I change it to be compatible with GRID Mod. Does it need?